As games are becoming more proactive than ever before in their mission to get everyone in motion, the School of Cinematic Arts and the Keck School of Medicine are making sure that everyone can be included. 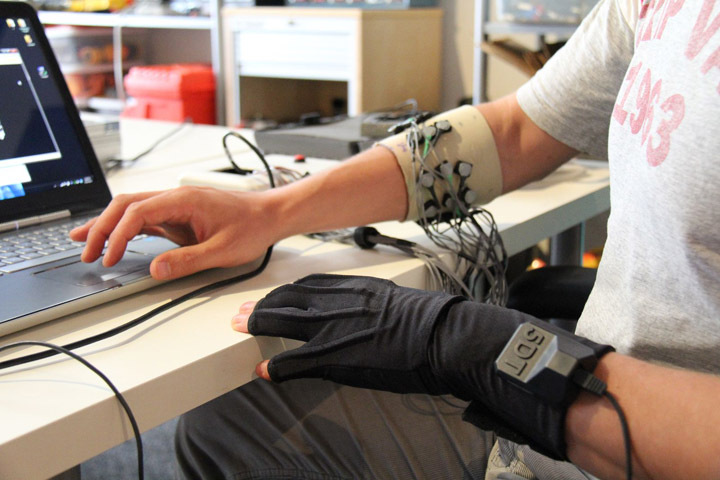 On September 24, the Creative Media and Behavioral Health Center (CM&BHC) hosted a showcase for their cutting-edge work of combining exercise-based physical therapy with engaging, interactive experiences as part of an event series through the USC Center for Interactive Media Technologies in Healthcare (CIMTH). 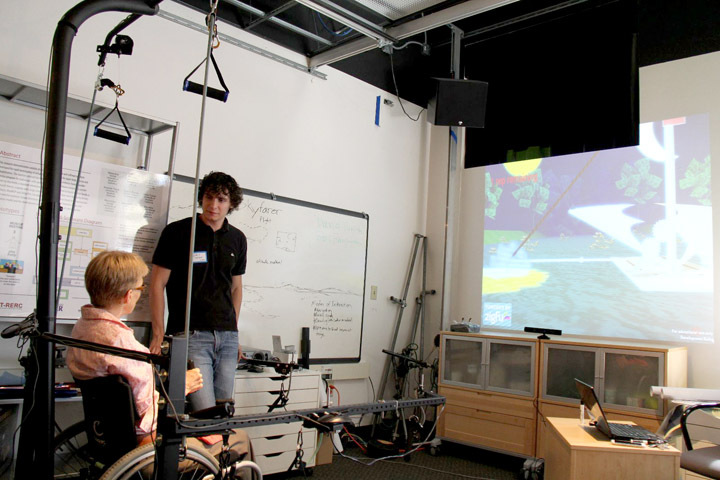 Participants were able to participate in hands-on demos, including a prototype version of Skyfarer, an exercise-based game designed to encourage paraplegics to exercise through an interactive story, and a demo on handheld virtual reality devices. The showcase culminated in a live presentation about the Center. On their work, Game Lab Programmer David Turpin explained, "What we're aiming for is long-term behavior change, and that has to start on an emotional level. The most effective game grips the player with an undeniably fun activity, and then holds their attention with a riveting through-line. Along the way, the player learns the value of their virtual actions and, hopefully, begins to consider their value in real life." CM&BHC is newly funded by the Provost's office and is a designated component of CIMTH. CIMTH is co-directed by Marientina Gotsis, Carolee Winstein, Cesar Blanco and Jon Lasch. Maryalice Jordan-Marsh, the co-PI on two projects and a member of the steering committee at CM&BHC and CIMTH, took part in the showcase, while demos were hosted by David Turpin, Vangelis Lympouridis, Yasaman Hashemian, Fotos Frangoudes, Nick Farmer and Professor Perry Hoberman. CIMTH’s mission is to advance the art, science and technology of interactive media in healthcare, to empower healthy behavior, to improve healthcare provision for all by promoting proactive collaborative participation in a healthy lifestyle and to encourage, facilitate and promote cross-disciplinary research and developmental collaborations. “The intent of the showcase was to expand the visitors' experiences of emerging platforms and systems for designing interactive experiences for health and beyond to build new collaborations across USC,” concluded Gotsis.